Dean Martin as Matt Helm in The Silencers. There’s an new e-book about the four-film Matt Helm series available. Bruce Scivally has written Booze, Bullets & Broads: The Story of Matt Helm, Superspy of the Mad Men Era. 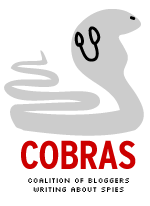 Scivally previously worked on John Cork-directed documentaries of the James Bond films that were part of DVD extras. He and Cork also wrote James Bond: The Legacy, a coffee table book that came out last decade. The story of Matt Helm, spy of the Mad Men era. After his creation by Donald Hamilton, Helm went from being a literary rival of James Bond to being a cinematic rival with the production of four movies starring crooner Dean Martin as a woozy, boozy secret agent. 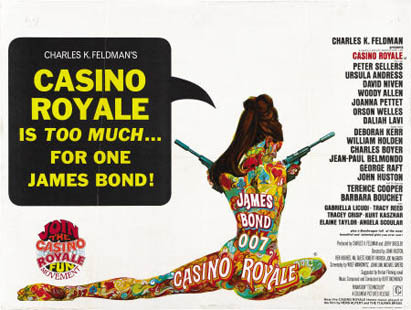 Produced by Irving Allen, the former partner of 007 film producer Cubby Broccoli, the Helm movies influenced not only the Bond films but also Austin Powers, and remain a “guilty pleasure” viewing favorite of red-blooded males everywhere. We’ve written before how the first Helm movie, The Silencers, had THE BIGGEST EFFECT ON THE 007 FILM SERIES from rival movies because Dean Martin got a bigger paycheck than Sean Connery. Allen made Dino a partner in the enterprise. Soon after, Connery began demanding not only more money but to be a partner in the Bond films. 007 producers Albert R. Broccoli and Harry Saltzman resisted the partnership demand, contributing to Connery’s departure after You Only Live Twice. Also, according to film historian Adrian Turner, some at United Artists were keen on Phil Karlson to direct Dr. No. But Karlson’s asking price was $75,000, which helped Terence Young get the job. Karlson ended up directing The Silencers and The Wrecking Crew, the final Helm movie. For the Scivally e-book, the price is $2.99. You can download it for free if you’re a Prime Member of Amazon. For their first 007 film, producers Albert R. Broccoli and Harry Saltzman faced a challenge. 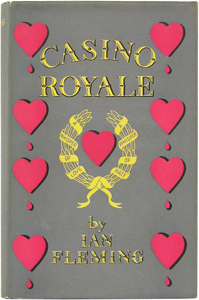 Ian Fleming had provided a memorable introduction for Honeychile Ryder in the Dr. No novel. 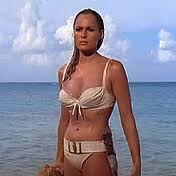 Ursula Andress as part of her entrance in Dr. No. The first time Bond sees the novel’s heroine she’s “not quite naked. She wore a broad leather belt around her waist with a hunting knife in a leather sheath at her right hip.” Agent 007 is reminded of “Botticelli’s Venus seen from behind.” The title of chapter is “The Elegant Venus.” The task for Broccoli and Saltzman was to find somebody who live up to that title. The producers cast Ursula Andress. 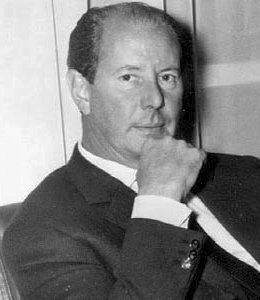 Director Terence Young staged her first appearance, coming out of the Carribean in a bikini, rather than naked as in the novel. The scene is one of the most commented aspects of the movie. Young’s technique was simple. Andress (dubbed by Monica Van der Zyl) walks out of the sea, singing Underneath the Mango Tree. There are no fancy camera angles: first a long shot of Andress, followed by a reaction shot of Sean Connery as Bond, followed by a waist-high shot of Andress. It doesn’t sound like much, but it made an impact on the audience. Honey doesn’t even appear until after an hour of screen time, but Andress, nevertheless, became the first major Bond woman in the series. As noted by the John Cork-directed Inside Dr. No, Ian Fleming was impressed by Andress, even dropping in a mention of the actress into his On Her Majesty’s Secret Service novel that he was writing as Dr. No was being filmed. Contrast that with Die Another Day, the 40th anniversary Bond movie in 2002. Director Lee Tamahori tried to emulate the scene from Dr. No with Halle Berry’s Jinx wearing an orange bikini, rather than the white one Andress wore. Tamahori used a couple of slow-motion shots and Berry preens for a moment before she comes out of the ocean. The extra bells and whistles of that scene emphasize how it’s a copy, rather than an original. Rev. Sun Myung Moon, the founder of the Unification Church, has died at age 92. His obituaries make for interesting reading for a number of reasons, but we’re noting it because of his James Bond connection. That connection? Well, as the Deadline entertainment Web site notes, the Unification Church financed 1981’s Inchon, which was a big critical and financial bomb. The film told the story behind one of the key battles of the Korean War and was directed by Terence Young, who helmed three of the first four James Bond movies. Also, in “Bond Vivant,” a John Cork-directed documentary that’s an extra on 007 DVDs, actress Luciana Paluzzi describes how Young took a quick break from filming Inchon to give her away at her wedding. Paluzzi, of course, was the femme fatale in Thunderball, Young’s last 007 movie. Anthony Sinclair, the Savile Row tailoring house named after the man who supplied Sean Connery with his original 007 suits a half century ago, is reproducing two of the suits for an exhibit in London in July. A STORY IN THE CURRENT ISSUE OF BLOOMBERG BUSINESSWEEK MAGAZINE quotes David Mason, the creative director at Anthony Sinclair, about the effort. Also, you, too, can dress like the original film 007. Anthony Sinclair offers an “off-the-rack” version of the suits for 750 British pounds, or a tailored one starting at 2,000 pounds, according to the article. To help celebrate the Golden Anniversary of the Bond films, the Barbican in London is hosting an exhibition entitled, “Designing 007: Fifty Years of Bond Style”. 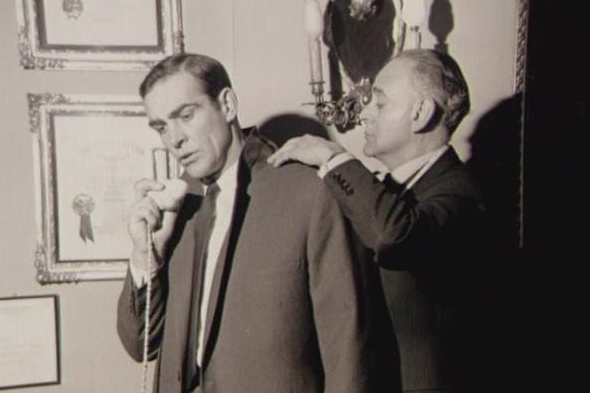 However, most of the clothes made for the first actor, Sean Connery, have long disappeared, and so EON, the film’s producers, have approached Anthony Sinclair to request faithful reproductions of some of the pieces originally made by the company, including the famous evening suit worn by Connery in his first appearance as James Bond in the 1962 film, “Dr. No”. The records of production of these suits have also vanished from Sinclair’s archives, consequently the specifications for the remakes are being put together piece by piece, with the help of the exhibition’s curators, starting with the cloth. 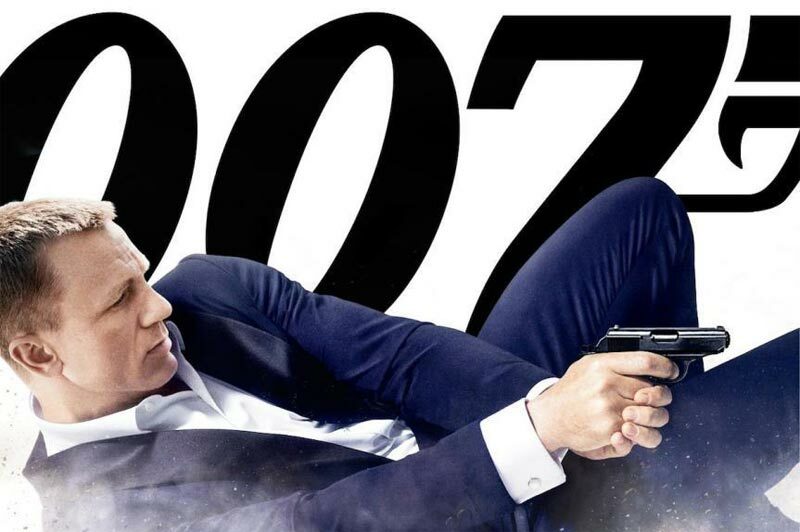 The blog has had additional entries on APRIL 28, MAY 7 and MAY 19 concerning the work performed to come up with the 007 suit reproductions. The blog entries include some Bond film history, including how George Lazenby and Roger Moore were fitted by different tailors for their Bond films. The John Cork-directed documentary Inside On Her Majesty’s Secret Service noted how Lazenby bought a suit by Sinclair to audition for the role. “Whilst this would have ensured that he looked the part for the screen test, it was as close as Sinclair’s tailoring got to the film production,” the Conduit Cut weblog says. The last Bond film featuring Sinclair suits was 1971’s Diamonds Are Forever, according to the weblog.